This is one of those topics that’s like where do you start? 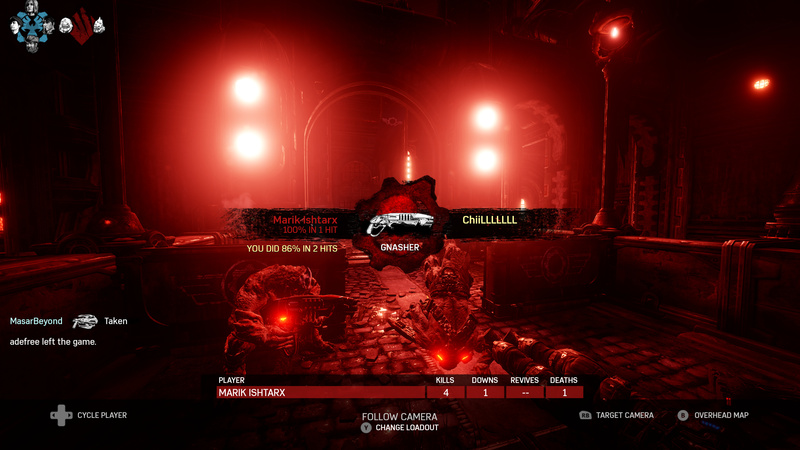 Sound…matchmaking,…hit registration/shot trading…stacked teams et al…you could go on. My biggest gripe with Comp multiplayer is the false fires. Meaning that on my screen I shot first and am not rewarded. @TC_Octus, you go into this a bit and I appreciate that. A lot of players complain about trades, and I get that. But without trades, we introduce more false fires. I find these especially frustrating when my ping is noticeably lower than the enemy that killed me. At your convenience, could you go into detail about situations like the one I stated above (enemies with higher pings). I have multiple examples of false fires where I shot first, a couple frames later I am gibbed and my shot does not register (some examples of up to 4+ frames later). One example I am referring to is when my ping was 59ms and my enemies was 119ms. After reviewing the clip there was a 2 frame delay after I shot to when I was gibbed. So the question I have is what other factors go into them being rewarded the shot? Is there that much visual discrepancy between what each player sees? I can post the clip in question if you like. The interesting part is that it’s not always slightly off either and not only with the high ping player. I’ve noticed a single high ping player, especially one with fluctuations, will make every encounter random for even a low vs low stable ping. If this high ping leaves the match the lag disappears as if it’s a magic trick only to come back the instant the high ping player rejoins the lobby. This needs to be fixed in Gears 5. I don’t care who I play against so long as it isn’t screwing me. Either find a way to even it out of make the unstable high ping at a disadvantage. It may not seem fair but punishing a low ping is even worse. It makes no sense, just as @BetaX2r mentions, as to why I’m 2 frames or so behind them even when my ping is 15ms and theirs is 150ms. How are they killing me from behind a wall on my screen but on theirs they’re right in my face? The prediction algorithm is poorly coded and hopefully you contacted 343i or even DICE to ask them how you make a game run properly. I’ll tell you this - I never see lag in Battlefield or Halo. 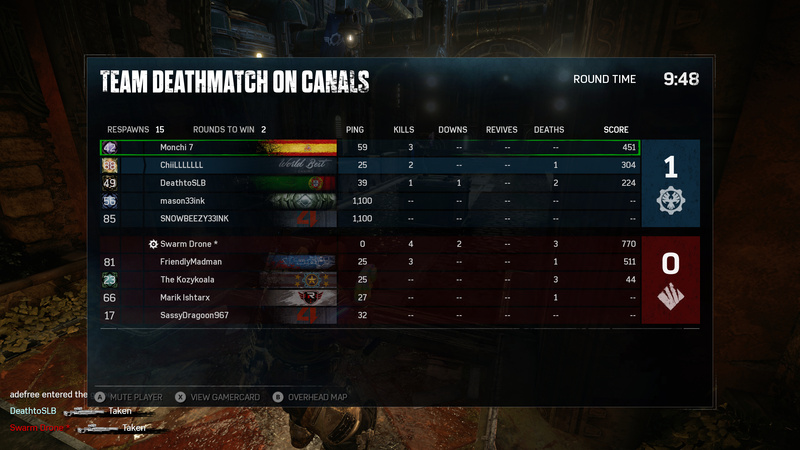 I see it every match in Gears. That’s a problem. Today is awful, lol. Two matches in social against nothing but 100+ ms fluctuation players. Unplayable. Explain how they can be picking up a power weapon and take 2 shots for no damage? I mean, they have to be standing there, right!? +1 on actives, it was more fun and also more realistic before the weird cartoony infinite active reload. I hate having it on a timer, it feels really limiting. You also have no idea when the opponent has an active or not, I don’t know who decided this was more strategic, it’s way less strategic than before. I find it amazing when you destroy a team 180-0 in KotH and all of a sudden 2 of them spike their pings from 80ms to 110ms and one of them had 1100ms spikes too. At this point all of my shots become random and I’m experiencing teleporting when I shouldn’t ever be doing so. Call it what you will but to me that’s cheating. You get hammered in round 1 and all of a sudden your ping spikes majorly and you become more unstoppable? Nah, that’s not legitimate at all. Nice try guys. I see right through it. 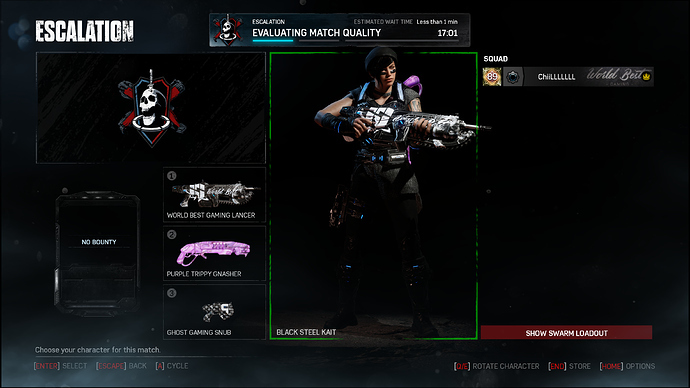 Note to @the-coalition, if someone does this nonsense in Gears 5 the game better punish them and only them. They’re not hosting the match because it’s a dedicated server so there’s zero reason I should experience teleporting and stuttering. High ping advantage MUST go away. Whew, I’m sure glad this guy was negatively impacted by his awful connection. The past 2 weeks have been absolutely terrible with the ping fluctuation. Players are 30 starting then 80 back to 30 then 50 and your higer pingers we all know how that goes. Shot after shot after shot range from 0-80% damage, the high ping that has plagued this game is no doubt TC’s fault but the fluctuation being so bad is that a MS issue or another TC code issue? Is it only certain players consistently spiking or is the whole lobby? If it’s certain players it’s their connection and as such they should be booted or given a disadvantage. I am really tired of my game acting weird just because someone refuses to or can’t provide a stable environment. You punish the offender, not the non-offender. 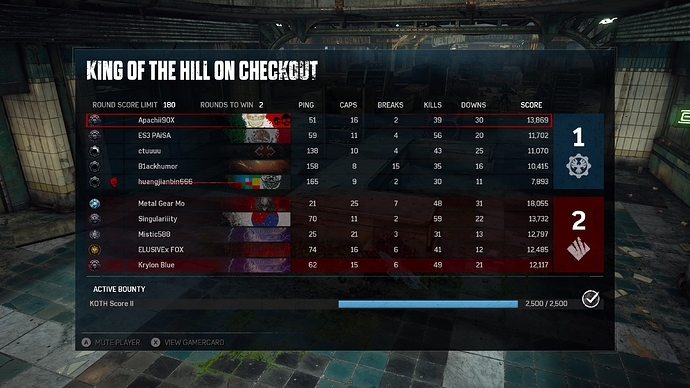 For the fluctuating it’s the whole lobby. When I start pinging at 30 I will rise up to 80 and fall back and forth as well as other players. The high pingers fluctuate even more some times spiking up to 100 plus on top of their starting ping. I’ve seen this too. Sometimes it’s everyone and others it’s half the lobby. Many times though it’s one or two players constantly doing so and even then the hames a mess. Great post; however, you mention quitters. Have you EVER tried to play this game on the PC? This is practically UNPLAYABLE. I have been doing Gear and Beers Friday nights with my friends since release. I just bought a brand new alienware aurora 7 with a Nvidia 1070 graphics card. I launched a PRIVATE versus match today and HARD froze THREE times before the match was over. I had to shut down my PC using the power button. This is the only game I’ve ever played in my ENTIRE life that will freeze and give me the blue screen of death on a regular basis. As I said, Gears and Beers EVERY friday since release. It freezes at least 15 times a night. Not an exaggeration. I can’t take it any more. I love Gears with every piece of my soul but I am ready to give up. This game is so extremely broken on PC. To stop it crashing, you need to have the older drivers installed of use a new RTX card. Mod edit: Please post in English only as per the forum rules.